Bangkok is known for historic sites, shopping, nightlife, spas, and museums. 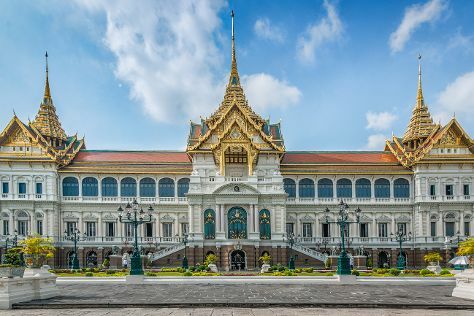 Your plan includes some of its best attractions: explore the historical opulence of The Grand Palace, contemplate in the serene atmosphere at Temple of Dawn (Wat Arun), take a stroll through Khao San Road, and buy something for everyone on your list at Siam Paragon. For reviews, where to stay, maps, and tourist information, refer to the Bangkok holiday planning app . If you are flying in from Singapore, the closest major airports are Suvarnabhumi Airport, Don Mueang International Airport and U-Tapao International Airport. Expect a daytime high around 40°C in March, and nighttime lows around 30°C. Finish your sightseeing early on the 4th (Mon) so you can travel back home.